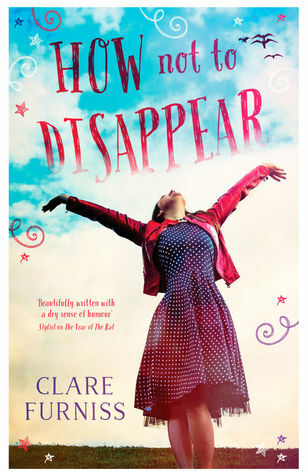 I enjoyed Clare's previous book and as a consequence I had high hopes for this book. I am glad to report it did not disappoint at all. I loved How not to disappear. I loved the main character Hattie and really enjoyed getting inside her head and seeing the world from her point of view. I equally loved meeting Gloria, Hattie's long lost great aunt. I particularly enjoyed seeing the relationship between the two develop. I also loved getting into Gloria's backstory over the course of the book. A really heartfelt book which has a lot to say about family and its importance. I thoroughly recommend it.